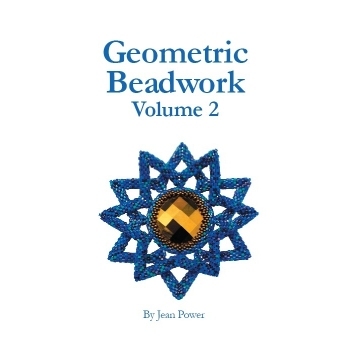 If you enjoyed my book Geometric Beadwork then this second volume in the series is the perfect next step. This 128 page book is crammed full of geometric beadwork, techniques and projects to delight and inspire. 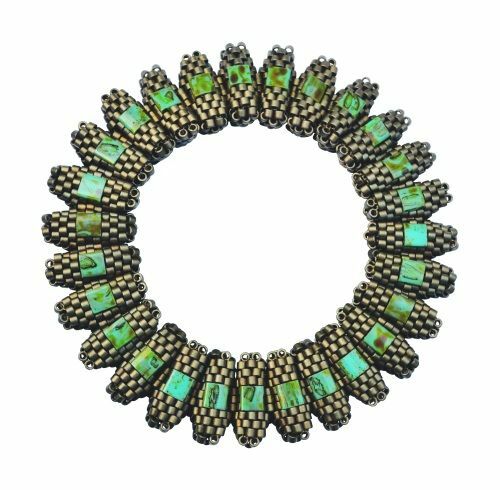 Featuring over 300 diagrams and photos, and with bracelets, necklaces, chains, brooches, pendants and more there is something for everyone. 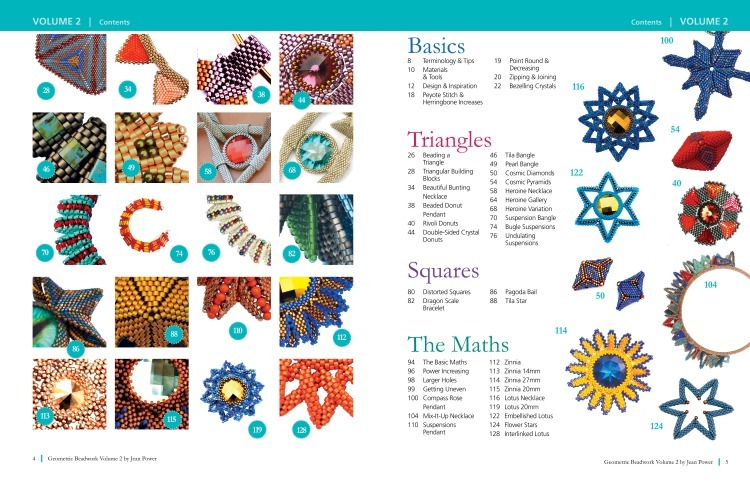 The book begins with the basics of geometric beadwork before moving onto design & inspiration considerations then then separating into 4 different chapters: Triangles, Squares, and 'The Maths'. Please note this is the physical edition of the book. If you would also like just a digital copy you can purchase that here (if you purchase a hard copy and would like a digital version then please contact me with your purchase details).